The fastest way to grow your franchisees with the leader in Technology. Check out our options and features included. Welcome to Proven Match. What we provide is simple. Scientific information designed to help your franchise company locate and identify ideal franchisee candidates. How do we do it? Through a proven franchise behavioral assessment process. With thousands of individual franchise businesses to choose from and a near unlimited supply of interested candidates, finding the right match between the two is now more important than ever. Your franchise must depend on successful entrepreneurships to lead your company's financial viability into the future. There's simply too much at stake to place an ill-fitting franchisee into your business. 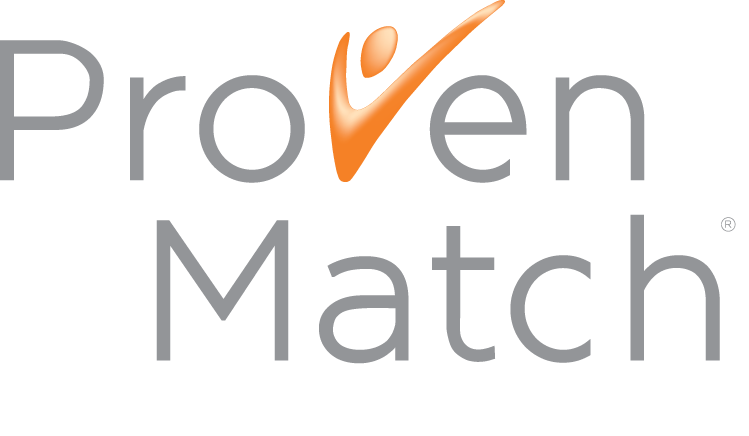 Armed with decades of experience in franchise analysis and matching, Proven Match consistently seeks to match tomorrow's entrepreneurs at the crossroads of opportunity and personality. Now, your franchise will be able to accurately predict the ideal and successful franchisee relationships of your own through Proven Match's franchise behavioral assessment tools. Experience the Proven Match difference with our franchise behavioral assessment. Your franchise will identify the most ideal candidates, experience faster growth and validation, reduce costs and increase profitability. Science, not guesswork. Assessment, not estimates. Finding the ideal candidates is now franchiseeasier. Proven Match. Click here to get your FREE copy of our latest e-book: Is Your Marketing Killing Your Franchisee Recruitment? Receive Proven Match updates straight to your inbox. Every franchise organization has its top franchisees ... and those that are underperforming. But each franchisee was once a prospect. For that reason, picking the right prospects is key. See how Proven Match can help you find your next great franchisee. "Proven Match is a valuable resource that helps us pinpoint our top-performing franchisees' common leadership and management traits, and to identify these traits in candidates. During the qualification process, we use the Proven Match scientific assessment to gain specific insights into each candidate's strengths and weaknesses. This has helped us recruit the best-qualified candidates into our organization, and has contributed to our franchisees' and our company's success." "Proven Match is very helpful in terms of guiding me to get to the essence of what drives a prospect. And that is always the most important question for me." "Proven Match has taken the speculation out of the equation, finding that perfect harmony between potential franchisee and our franchise model; the results are clear and succinct. Saving valuable time and investment for both the candidate and the franchise process."